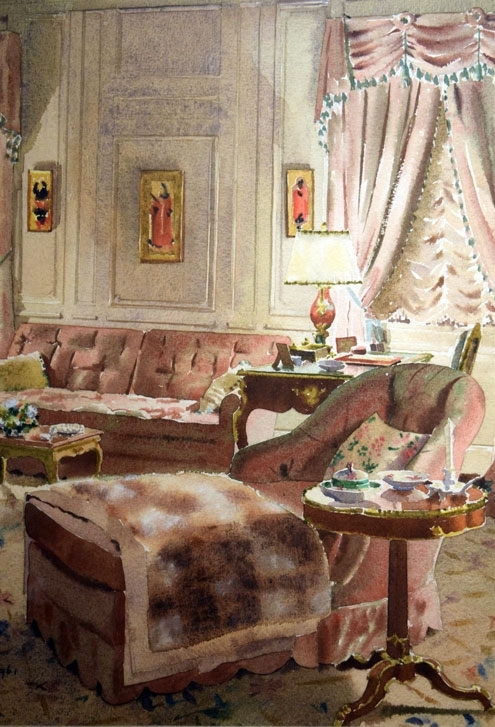 McMillen Inc., our country’s oldest, and possibly most significant, decorating firm has catered to the tastes of clients such as Doris Duke, Henry Ford II, Babe Paley, President and Mrs. Lyndon Johnson and more recently, Carl Ichan and Paul Allen. In addition to being a decorator of choice for successful business leaders, celebrities and prominent families for the last 90 years, McMillen has trained some of America’s most influential decorators, most notably Albert Hadley and Mark Hampton. McMillen Inc. was founded by Eleanor McMillen Brown. Within a few years it was a full service decorating firm taking great pride in its high level of professionalism and the design education of its decorators. 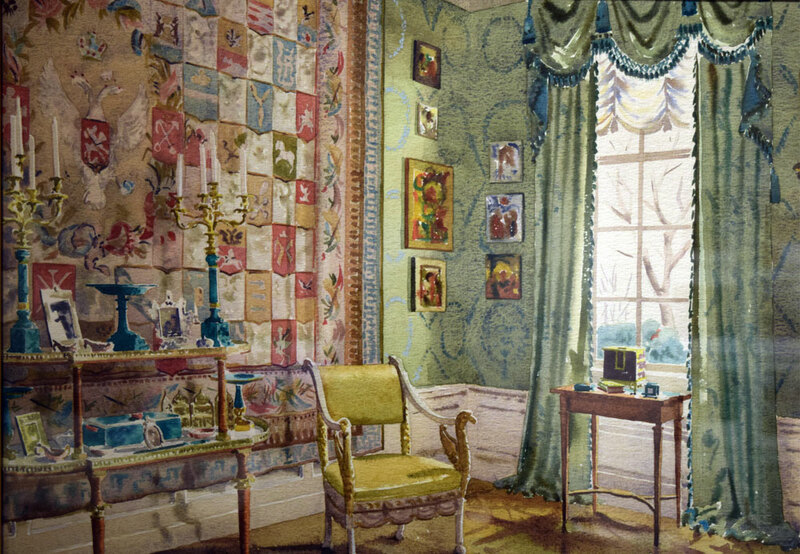 For a Victorian lady, Eleanor had a great vision of what the business of decorating should be and to a large degree shaped the profession as we know it today. The firm has since been led by Betty Sherrill for over forty years and is currently run by her daughter Ann Pyne. 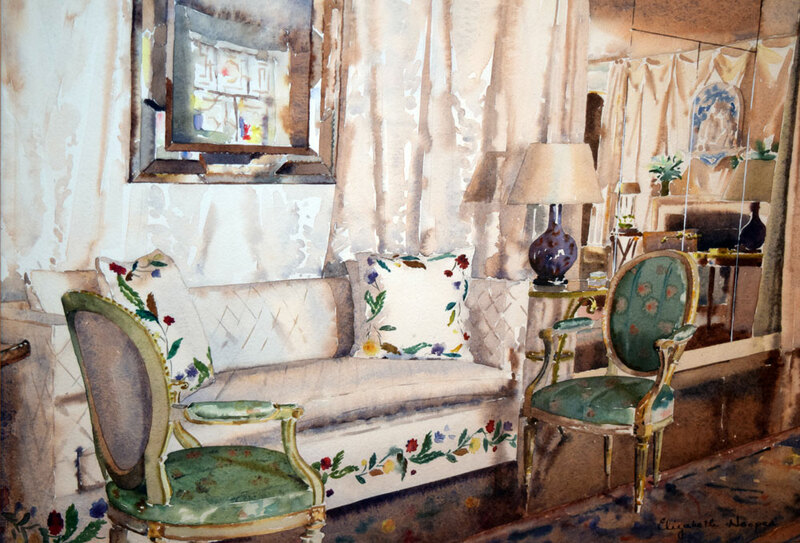 The following photos I have taken are just a small sampling of the exhibit at NYSID and include the extraordinary collection of original watercolors of interiors from the firm’s vast archives. It is obvious that McMillen’s design philosophy begins with the traditional vernacular and quickly transcends to become timelessly modern.